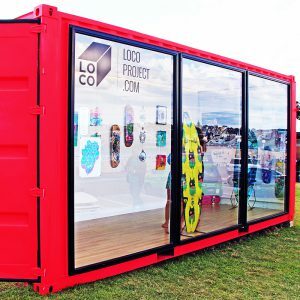 LOCO Project will be exhibiting over 30 artists from the inner city and inner west in a new pop-up shipping container gallery/ shop in Burger10 Glebe. Exhibited works will include paintings, photography, collages and digital illustration, plus live art each Saturday. Works are also available as prints, tshirts, cards and skatedecks – perfect for that locally made Christmas gift. Each week a new range of artists will be exhibited, officially launching at 6pm every Wednesday. 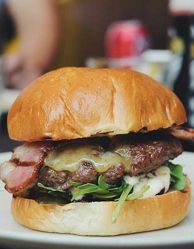 Join us for complimentary drinks courtesy of Mountain Goat Beer and Brown Brothers, with local legends Burger10 serving up delicious gourmet burger specials on the night. Gallery open daily 10am-9pm from 11 November – 24 December, corner of Glebe Point Road and Francis Street (outside Burger 10). Proudly supported by the Glebe Chamber of Commerce, Glebe Street Fair, Burger10, Mountain Goat Beer, Brown Brothers and the City of Sydney.